Envirotrek: Having Fun With Sustainable Mountain Tourism. One hundred million tourists visit the European Alps every year, a figure that doesn’t include smaller mountains and hills in nearby regions. The pressure on these precious natural environments, natural resources, flora, and fauna is severe. To improve awareness, education, and direct action in these areas, “Respect the Mountains” was born in 2004. 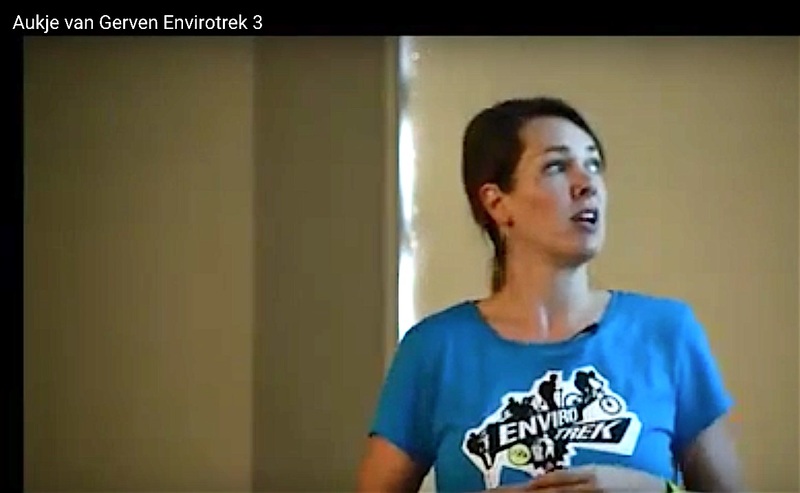 Envirotrek is the flagship product of Respect the Mountains. This action-focused, one-day event brings together all stakeholders (public and private) who directly benefit from beautiful mountain areas. These combined groups spend a morning getting their hands dirty cleaning up a high traffic area, which results in the removal of hundreds of kilograms of plastic, old ski equipment, industrial waste, and other things contaminating the local environment. Almost everyone who participates is astounded first by how severe the problem is and second by the fruits of their labor. This is an especially powerful realization for youth. Having worked up a hunger, the group shares a barbeque, where special prizes are given for the morning cleanup activity. In the afternoon, under the guidance of local professionals, the group is offered a choice of outdoor adventure activities and enjoys the best the outdoors has to offer. These days are packed with fun and enthusiasm. In 2014 there are nine events in six European countries. Aukje van Gerven is Director of the Netherlands-based non-profit organization Respect the Mountains. During a sustainability-focused cycle-expedition from Tanzania to the Netherlands, she witnessed the unspoiled beauty of the mountains in Ethiopia and observed the full extent of heavy mountain tourism in her own backyard when she cycled across the European Alps.